Epistemological theories of the patristic authors seldom attract attention of the researchers. This unfortunate status quo contrasts with a crucial place of the theory of knowledge in the thought of such prominent authors as Origen and the Cappadocian fathers. This book surveys the patristic epistemological discourse in its various settings. In the context of the Church history it revolves around the Eunomian controversy, Eunomius’ language theory and Gregory Nazianzen’s cognitive theory, where the ideas of Apostle Paul were creatively combined with the Peripatetic teaching. 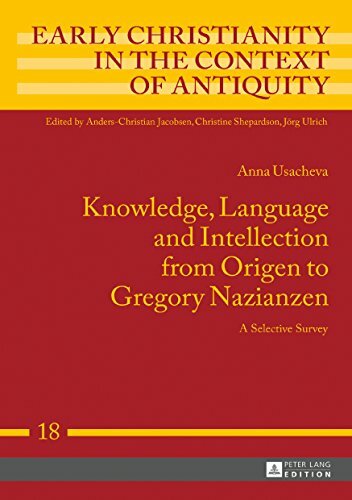 In the framework of Biblical exegesis, it touches upon the issues of the textual criticism of the Homeric and Jewish scholarship, which had significantly shaped Origen’s paradigm of the Biblical studies.